Tat Hong has been downtrend since early 2013, as it falls we saw more Retail's money stuck in the stocks indicated by our smart money index's Green bars. Now that we saw that there is more Blue bars coming in and less Green bars. 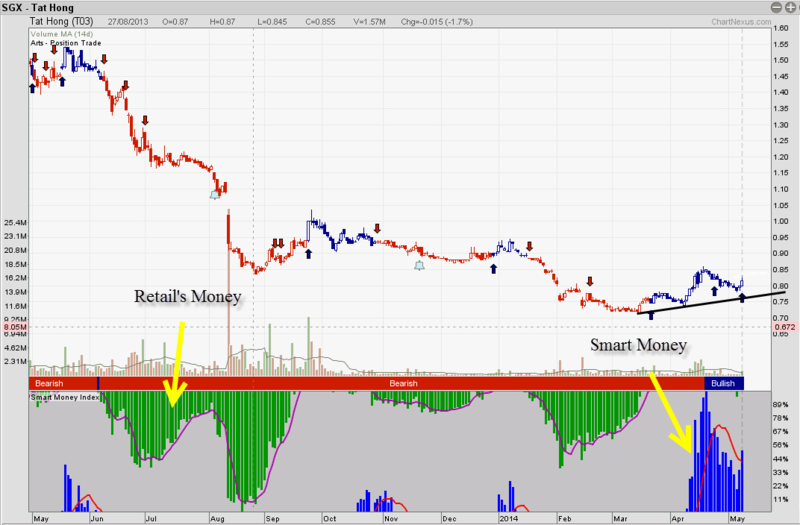 This shows that there is smart money coming into this company and we shall monitor this stock in the up coming week!